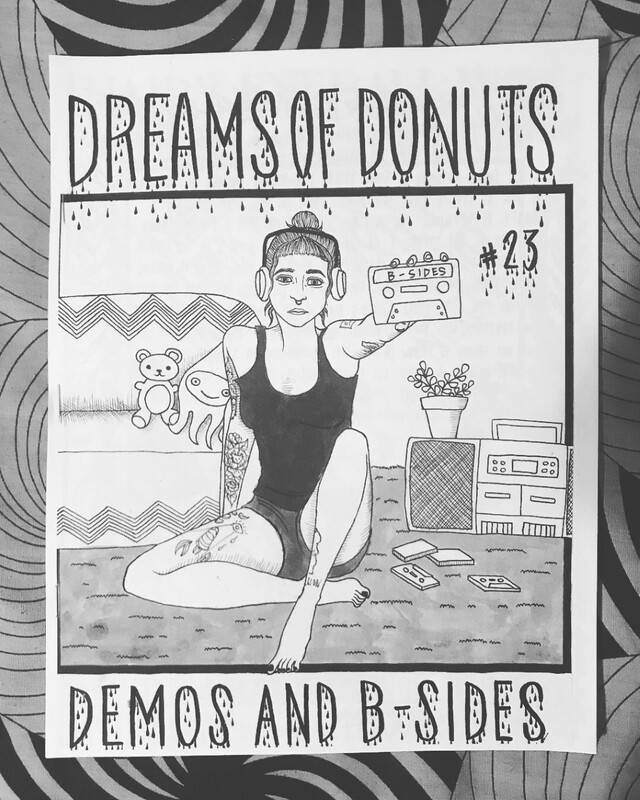 Dreams of Donuts has been a comic style chronicle of my life for the last 11 years, where I share my experiences with punk houses, shows, traveling, activism, as well as discussions on various emotional struggles I have gone through. 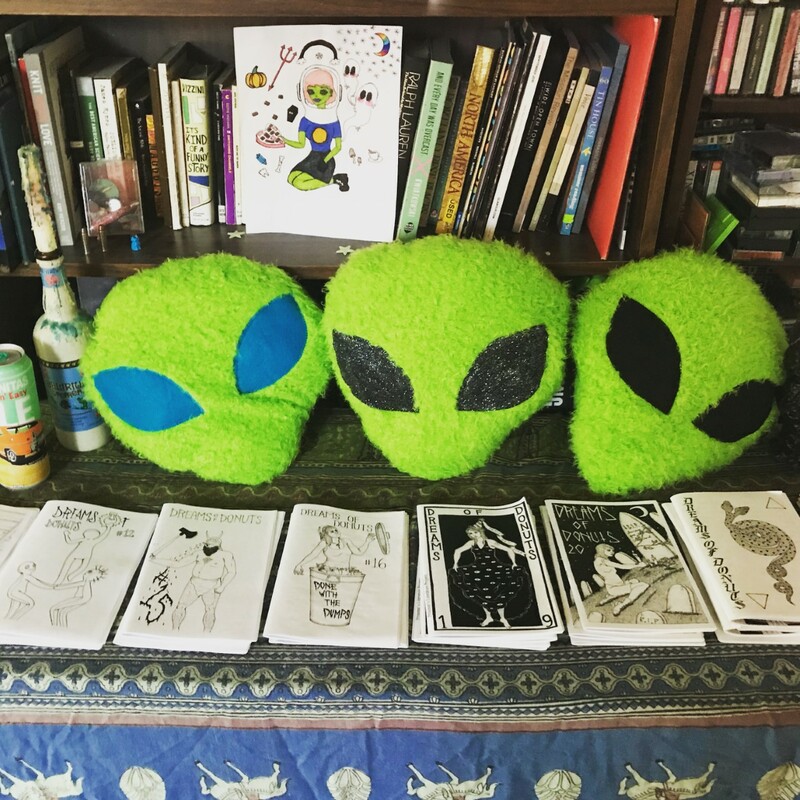 Although my zines are about myself, I feel like they are also a story of the punk/weirdo communities that I am a part of. I started making zines in 2007. At the time, the zine community felt pretty small, and a lot of ordering and advertising was done through the mail. 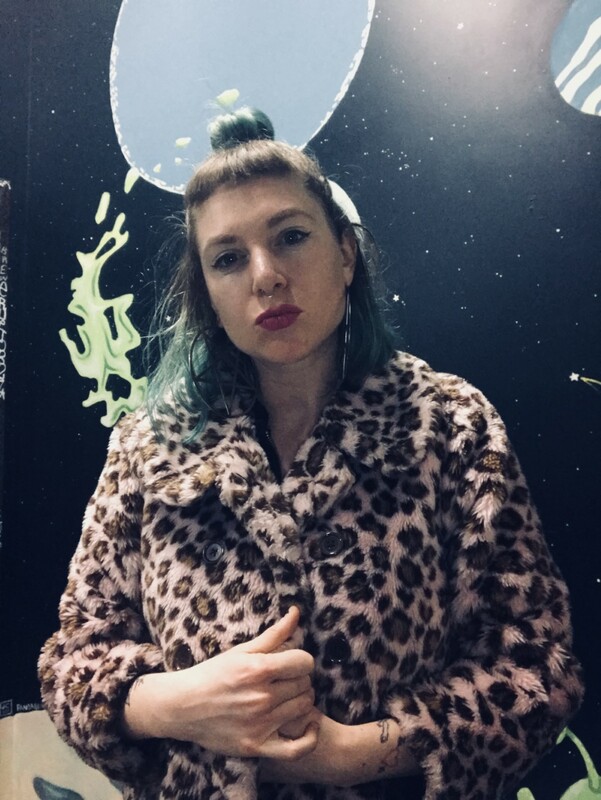 The more zines I discovered, the more I fell in love, and making my own zine felt like a way to participate. When I first started I didn't have any kind of vision for what would come from making a zine, but now I feel like my zine has become my most important art project. 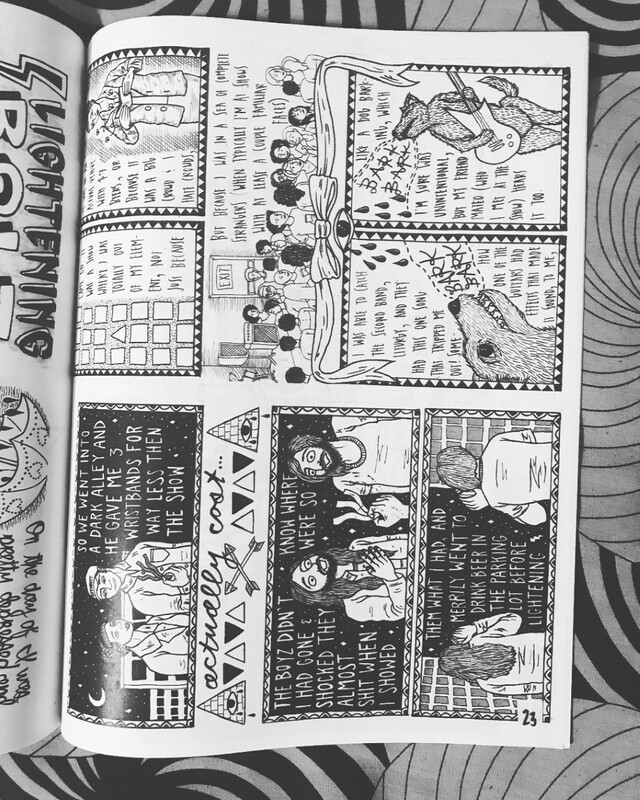 Making my zine comic style is extremely time consuming, since the artwork takes so long to complete, so although I write about my life, the stories are usually outdated by the time I have an issue ready to be printed. Also I usually have to plan on around 3 months at least to be able to make a new issue. One of my favorite things about making zines is that I do mine comic style, because although it is time consuming, it also provides me with a lot of opportunities to draw things that are out of my element or that I wouldn't normally draw. However probably my favorite thing about making a zine is to have something to offer in a way where I'm intimately sharing myself with you.